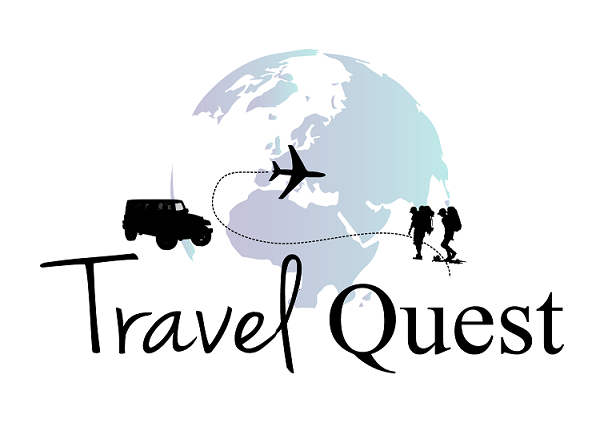 I've been to several aquariums like the one in (New York, Florida, Las Vegas and Ontario) . This was a nice aquarium, but in my opinion, too expensive for the size or attractions. Good thing we get one free ticket (for staying at Gatlinburg cabins) and Military discount. I suggest to buy combo passes bundle, each combo comes with one Aquarium Pass + two or more passes to their Parkway Attractions at a reduced cost. 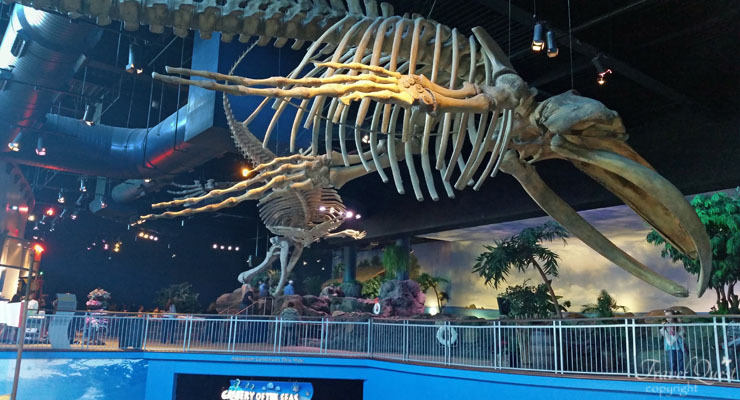 Parkway Attractions: Ripley’s Believe It or Not! 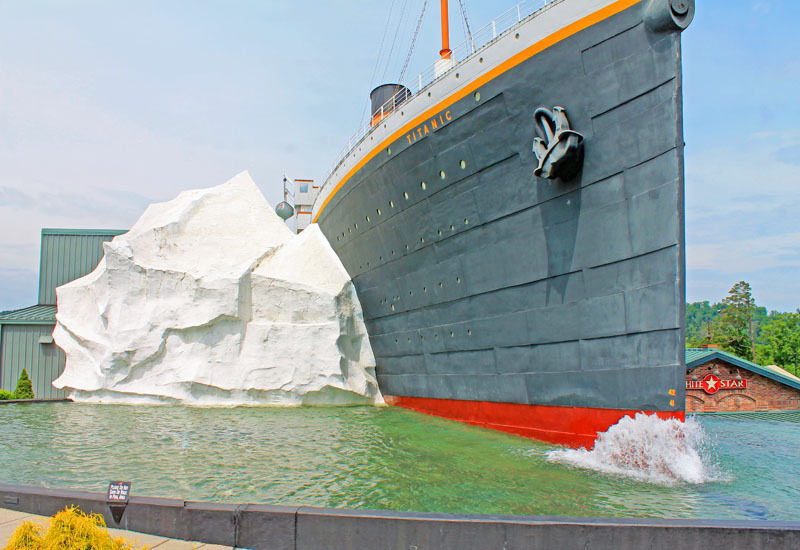 Odditorium, Haunted Adventure, Moving Theater, Mirror Maze, Mini Golfs, Guinness World Records Attraction. Other than that the entire aquarium is just beautifully designed. My favorite part was an unexpectedly long moving sidewalk that snakes through the interior of huge tanks containing sharks and a multitude of other sea life. I enjoyed that part so much I would have gone through it again if we weren't pressed for time. They also give you the ability to look down into some tanks, with the area themed to look like a seascape. Attraction spotlights aquatic habitats from around the world, live animal shows & hands-on exhibits. 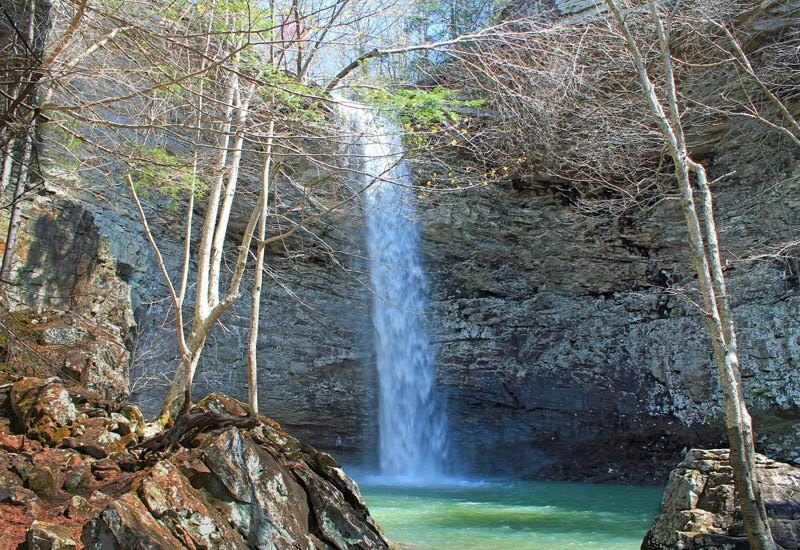 Address: 88 River Rd, Gatlinburg, TN 37738. 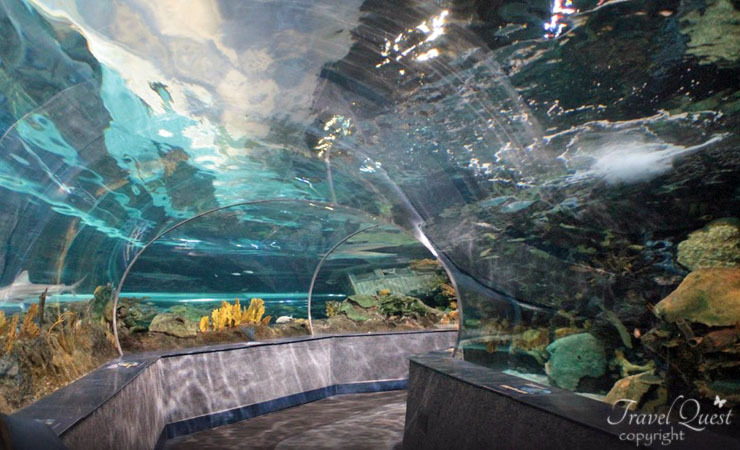 Super neat glass tunnel where the Sharks, sea turtles, and many kinds of fish swim all around you. This aquarium has a tremendous collection of fish. 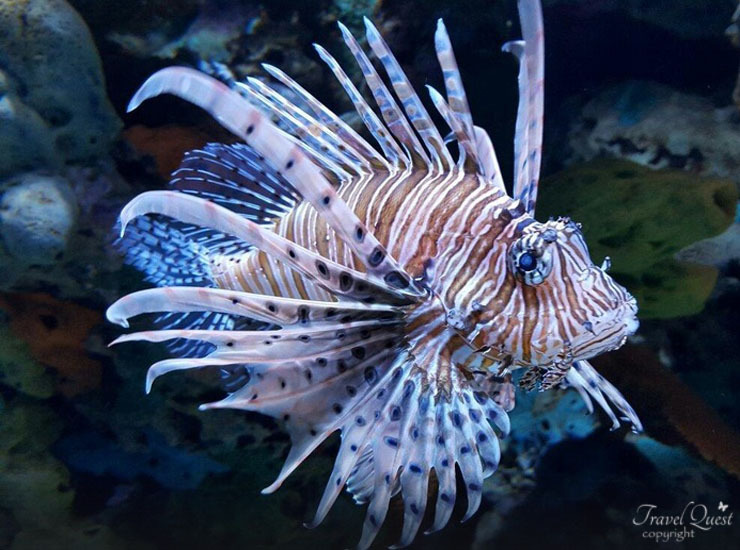 LIONFISH are known for their venomous fin rays, a feature that is common among marine fish in coral reefs. Their potent venom makes them excellent predators and dangerous to fishermen and divers. 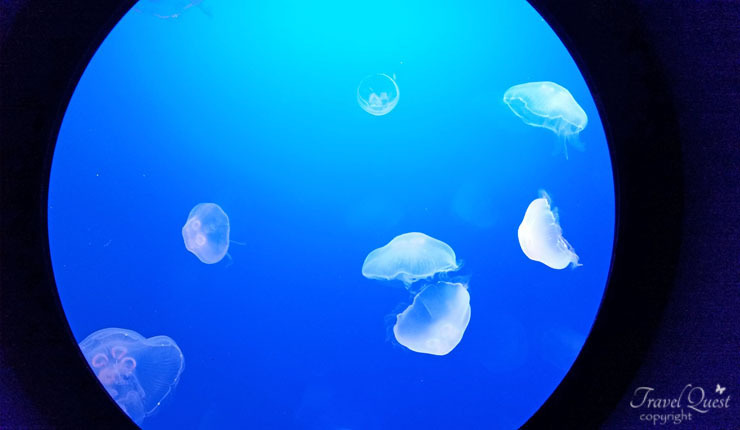 Hey friends , enjoy this video of Jelly fish changing its color, beautiful! My kids love going to aquariums! This sounds like a nice one! 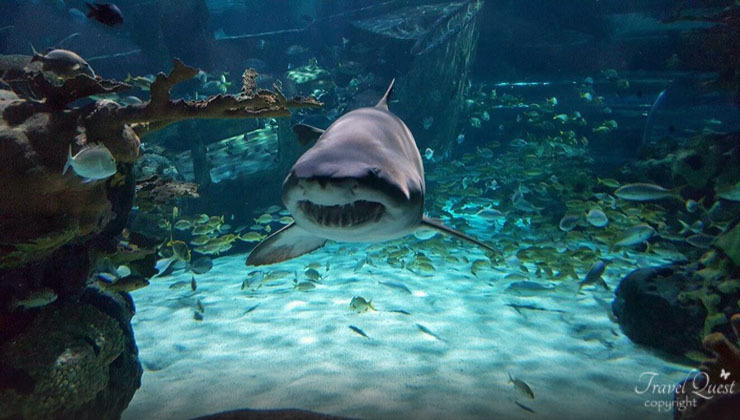 Aquarium is a fun place for family time. Looks awesome! Fun !!! Live this place we have been a lot I don't live to far away. I can spend hours in an aquarium. It is so relaxing. 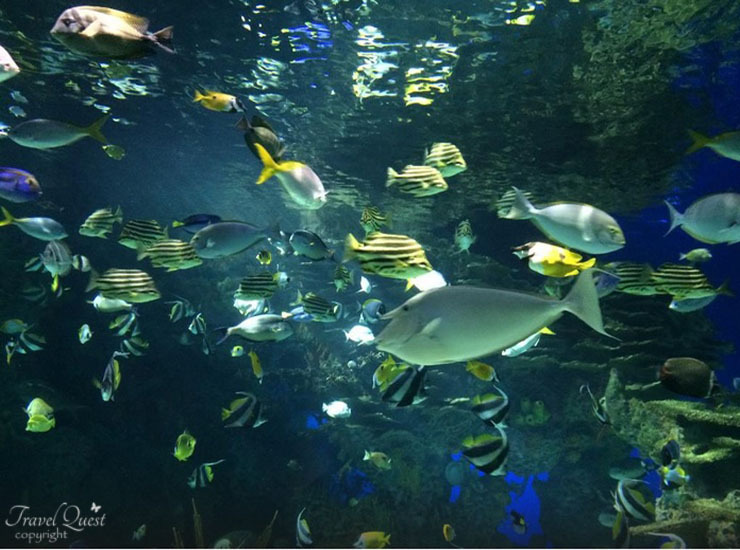 I love aquariums there is something so soothing about watching fish swim and interact with each other! Oh my, that looks divine! We could spend a day there and not want to leave. Going to aquarium is always a delightful experience. I love the sea and seeing sea creatures is something I enjoy! This is definitely worth going to! I love the walkway too! My kids would LOVE this aquarium! What a neat find!! 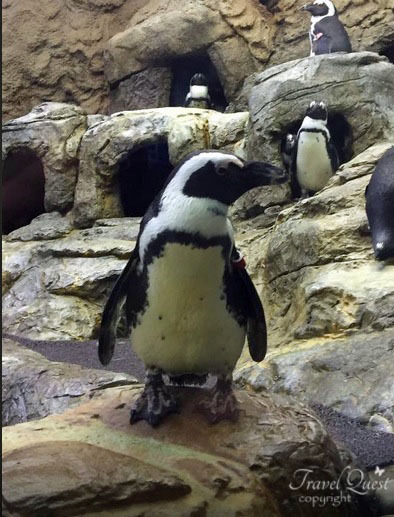 I love going to aquarium and I enjoy watching at penguins and colorful fishes! Great photos! My little girl would absolutely love this! Great pictures. Wow this looks like so much fun! I would love to take my kids some day. My son would love the sharks. Love the video at the end. What beautiful photos as well. Keep up the great work! One of the best place for kids to learn. I am very fond of aquariums. Loved this post. Can spend a lot of time in aquariums. This place looks amazing, It is so cool that you be so up close to everything almost like you are in the tank itself. 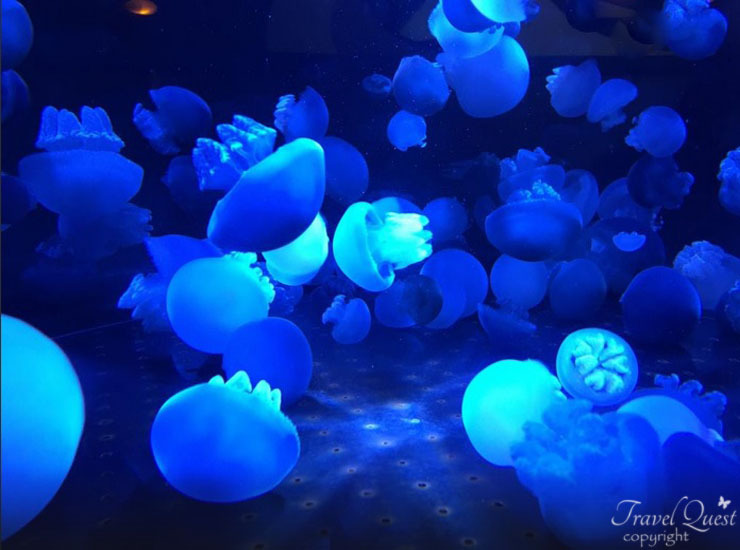 Wow, the pictures really make this post fantastic - they offer a virtual tour of this amazing aquarium! I think my fave parts are the tunnel - how cool to see creatures all around you - AND the penguins!